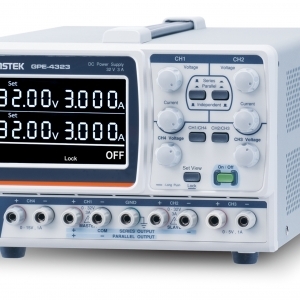 GW Instek offer a complete range of DC Power Supply solutions with Voltage ranges up to 600V to Current ranges to 200A including Benchtop DC Power Supplies to Programmable System solutions. Pacific Power offer a complete range of Programmable AC Power Supplies providing technically advanced, reliable, and cost effective AC power solutions that feature fast transient response, tight regulation, high peak current capability, no switching noise (linear) and very low switching noise (PWM switching) models and low impedance for applications such as Power Compliance Testing, Military, Aviation, EMC Testing, Manufacturing Test, Alternative Energy, Research and Design. Power ranges from small footprint 500VA to High Power Systems to 90kVA.